Part V of "What's the Matter with Seattle?" In this series, we examine a theory raised by The Wharton School’s Prof. Barbara Kahn that, for whatever reason, Seattle’s retailers just get customer experience. Today, we visit the Nordstrom flagship. 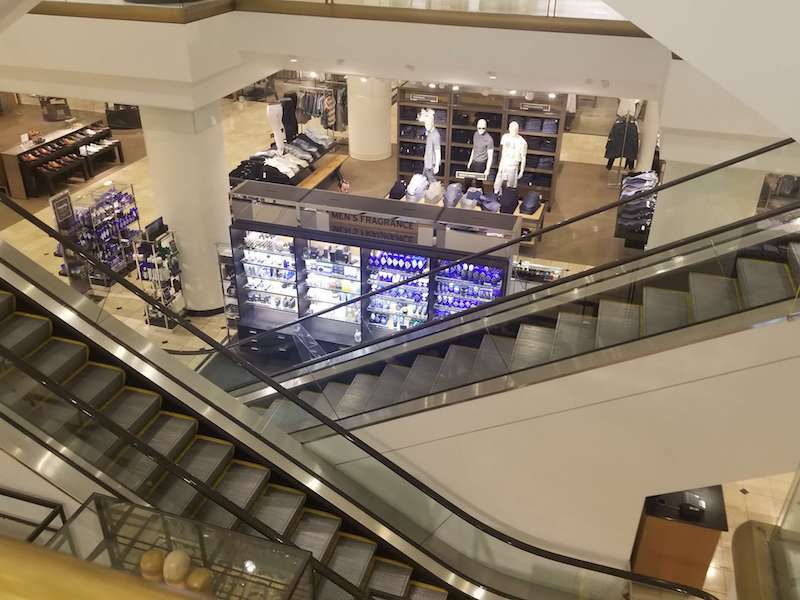 The Nordstrom flagship is bright, airy, and well-stocked – four floors of merchandise, punctuated by a variety of places to stop and sate your appetite. But some of those places are more unusual than one might think. Traveling to the top floor, one finds the standard-issue Nordstrom Cafe – clean and appealing. 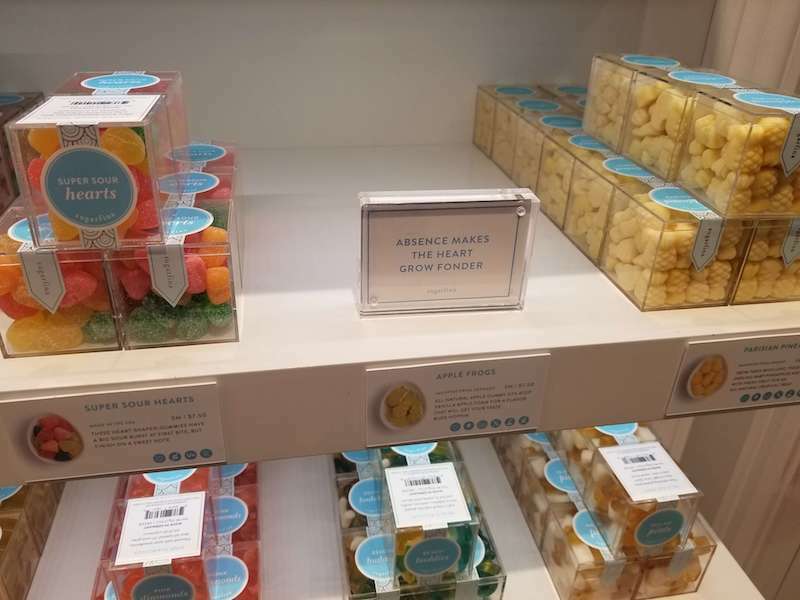 Next to it, though, just in time for dessert, is the Sugarfina store-within-a-store. The digital-turned-physical retailer originated as a candy store for grownups (who are presumably willing to spend more than just allowance money), and now also operates a handful of outposts in other brands’ locations. One can find everything from the normal chocolates and sours to rosé-flavored concoctions to green-juice gummies (which originally started as an April Fools’ joke, but unexpectedly discovered an untapped market). 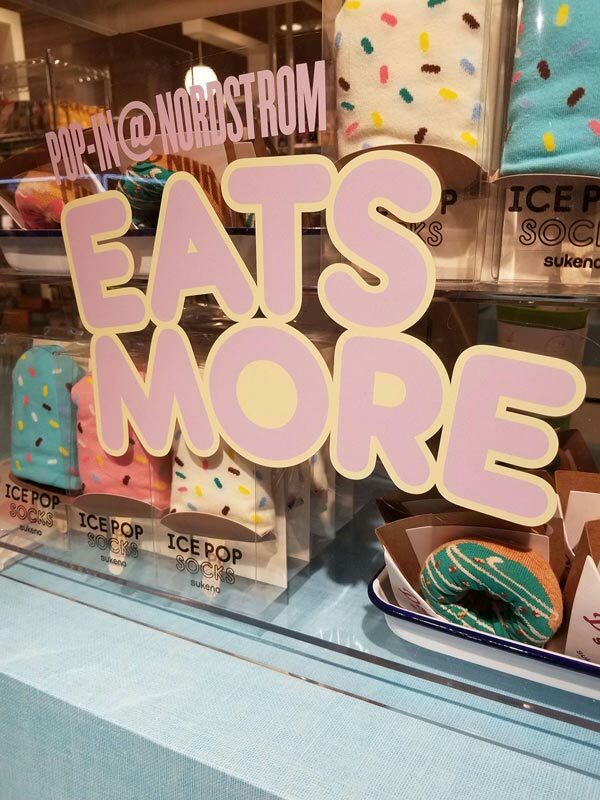 After picking through the the colorful cubes of glass and sugar, I descended a floor to visit the “pop-in.” An in-house version of still-novel pop-ups, Nordstrom’s pop-in’s regularly change their themes. (The website mentions ‘90s raves, road trips, Paris, poolside glamour, etc. as examples of past themes, and calls out partnerships with Allbirds, Everlane, Nike, and more). When I visited, the theme was “Eats More.” The shelves were stacked with everything from pantry goods to imported Japanese snacks to serverware to socks that look (cruelly) like ice cream cones or donuts. Descending to the bottom floor, I came to my own territory, the Men’s section. It felt particularly quiet, which made sense given that it was after 8pm on a Wednesday. Another cafe greeted me with its dark wood exterior, but was now closed. A few yards away, I noticed a pair of shoeshine stands tucked in the corner. I wandered over and struck up a conversation with the shoeshine, who told me that people bring in everything from fine dress shoes to beat-up tennis shoes. He handles them all, with precious few exceptions, starting at just $3.50. 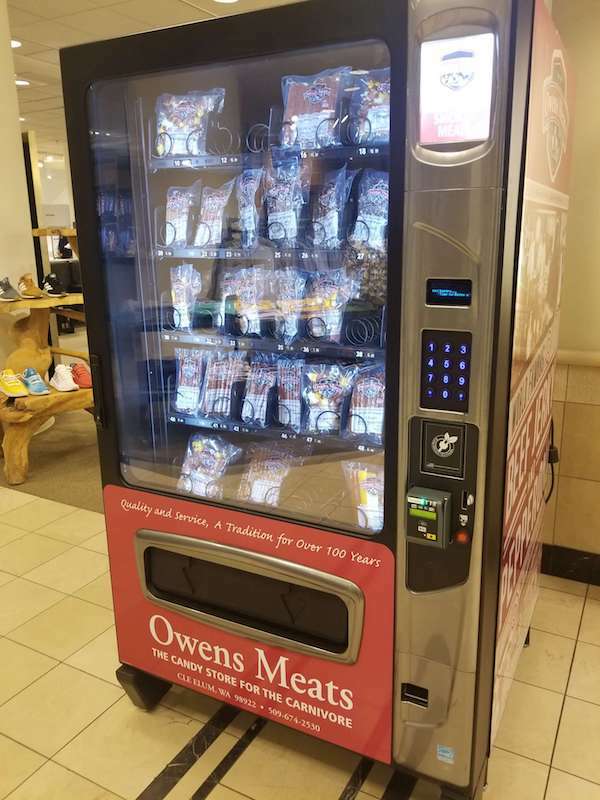 As my attention flickered between the shoeshine and the ballgame playing on the TV overhead, I suddenly noticed something that drew my full, carnivorous attention: A beef-jerky vending machine. As I walked over and drew in the options before me, open-jawed, I came to a realization: In this corner of the store, at least, I belonged. We hope you’ve enjoyed our exploration on customer experience in Seattle. But if you’re astute, you’ve already noticed an important detail: These are all flagship or experimental stores. It’s (comparatively) easy to get those right. The real challenge, as many retailers have learned, is scaling that vision and creating a consistent brand experience across all your stores. And that’s where the breakdown usually happens. Whatever the best-laid plans of HQ, stores get inundated with confusing, often-competing information and don’t know what to prioritize. Key tasks don’t get done, or don’t get done correctly. At Zipline, our goal is to streamline communication between HQ and stores, so you can achieve consistent execution and bring your brand to life within your four walls. If you’d like to learn more, please reach out to us. We’d love to tell you about how we’ve helped brands like Gap, LEGO, and TOMS transform store execution and improve customer experience across their entire fleets.